First there were spinners, and then cubes came along. Now, there are thousands of different fidget toys to choose from. The success of these products is down to their ability to soothe our racing minds. Similarly, they help to dissipate excess energy. 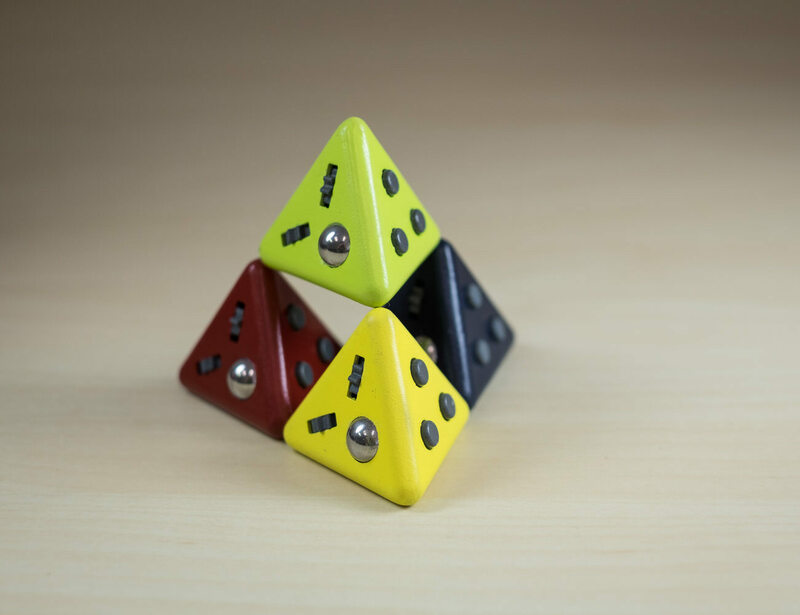 Tetrafidget is more versatile than most toys, offering four sides of buttons to push and textures to explore. It’s also magnetic, opening up more opportunities for mindless play. You could call it a pocket-size paradise for folks who just can’t sit still. As we grow older, most of us learn to curb our childish instincts. But that doesn’t mean your inner kid disappears altogether. When overactive children reach maturity, they become overactive adults. For these people, sitting still at a desk all day is a monumental challenge. Other people struggle with anxiety, where their subconscious brain is constantly worrying about stuff. 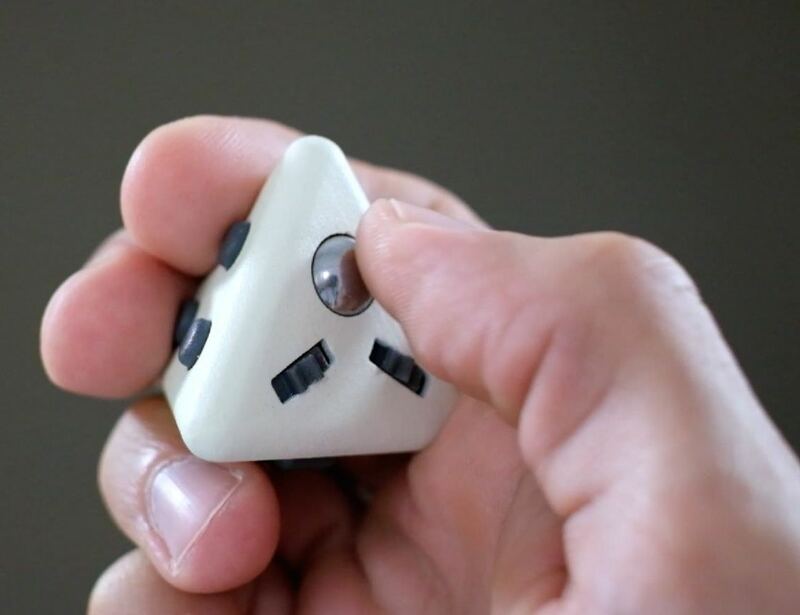 Both groups can benefit from a toy like Tetrafidget. 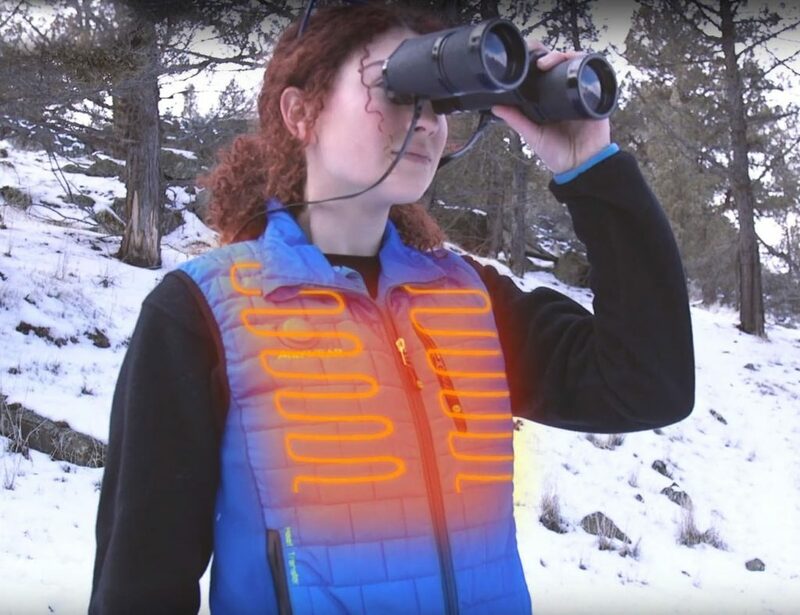 This device keeps your hands busy, helping you burn excess energy. It also occupies your brain enough to quash nervous thoughts. 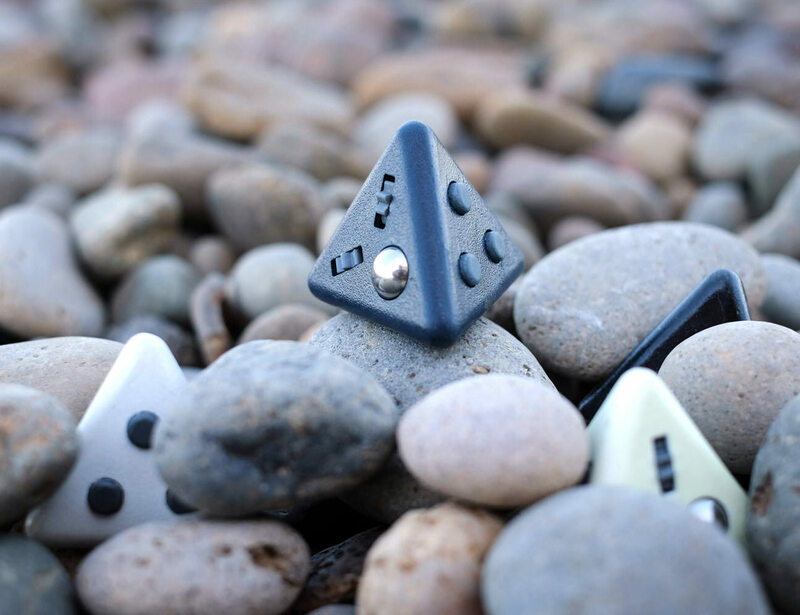 Each of Tetrafidget’s four sides offers something different. On the first side, three small buttons provide a satisfying click. You might find yourself thumbing across their triangular layout. The next side has a rocker switch, like you get on home appliances and light fittings. It acts like a see-saw for your thumb. In times of stress, your largest digit may prefer the worry stone side. Here, a thumb-shaped groove provides pleasing tactile feedback. The final side is like a digital playground, filled with fun for your fingers. You can feel the smooth surface of the roller ball glide under your touch, or rotate one of the two click wheels. Even the shape of this thing has been thought through. 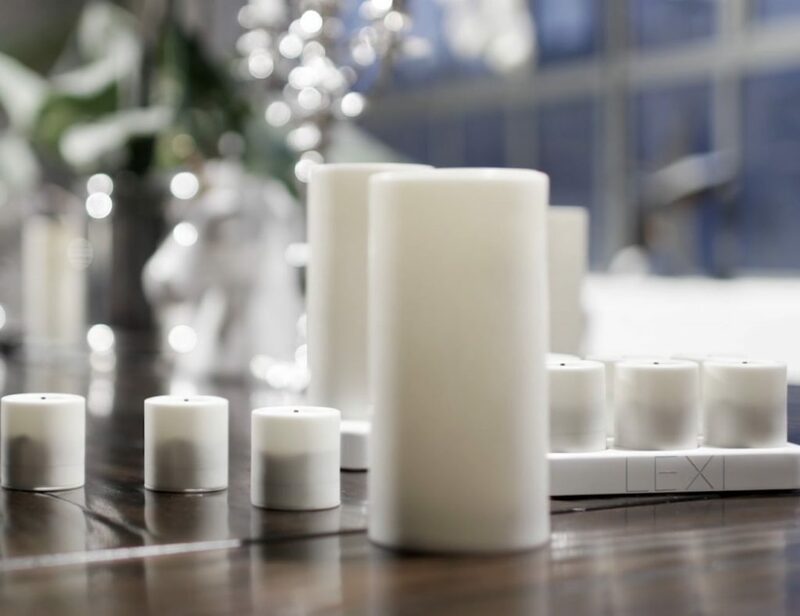 The tetrahedral shape has smooth corners that you can trace with your fingertips. 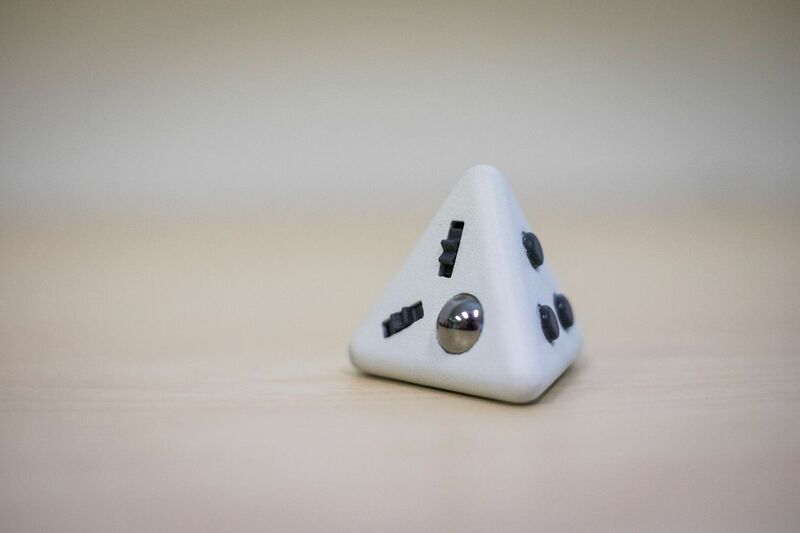 You can even spin your pyramid on its end. 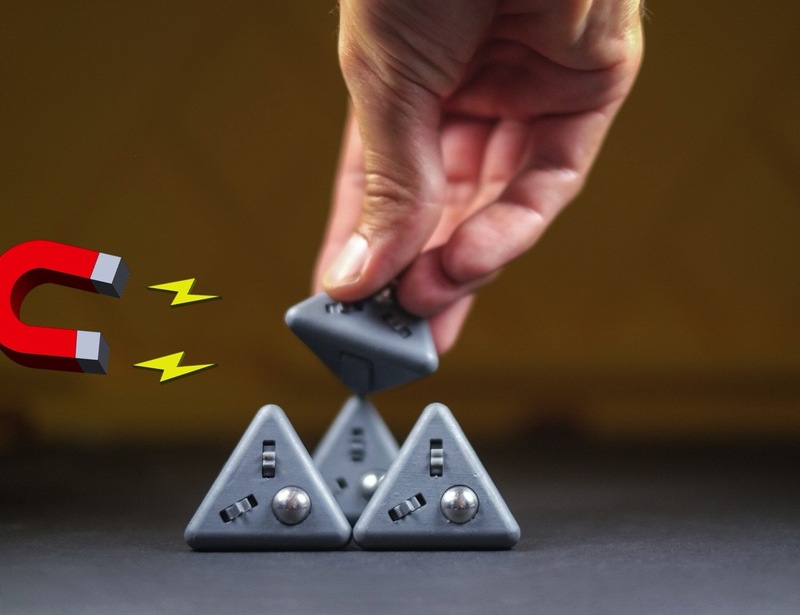 Tetrafidget’s final trick goes unseen until you bring two of these toys together. Being magnetic, they stick at various fun angles. You can even spin one beneath the other, point to point. 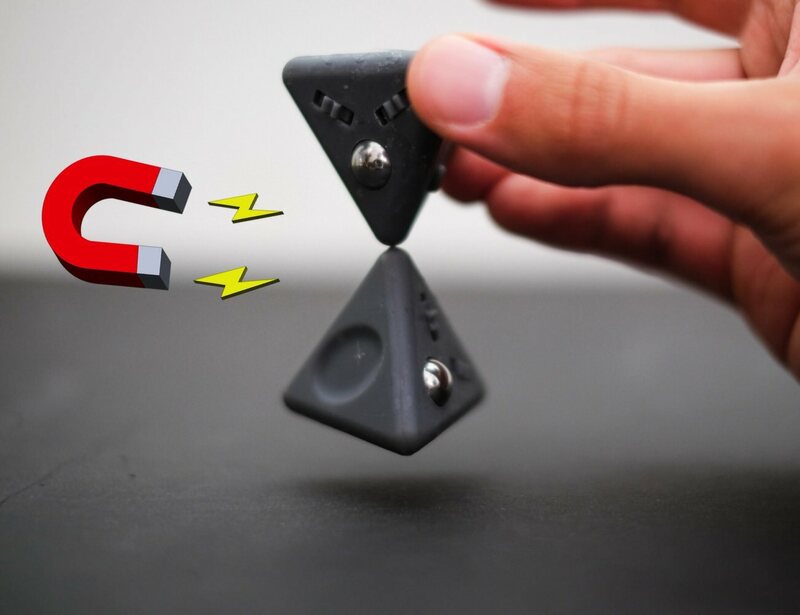 For $10, you are getting a lot for your money with this fidget toy. In the long haul, it might not be quite as robust as the metallic competition. You could also say that there are more stylish fidget toys available. But for calming your racing mind, this toy gets the job done in a playful way. A durable, versatile fidget toy at an affordable price. 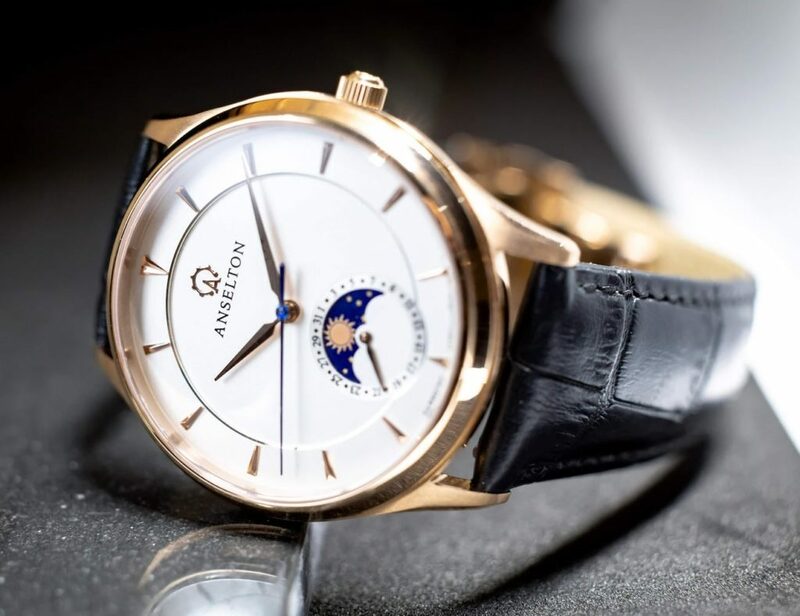 Furthermore, it’s small enough to stay unnoticed in boardroom meetings. If you could add a greater spinning aspect to this toy, it would truly cover every base.